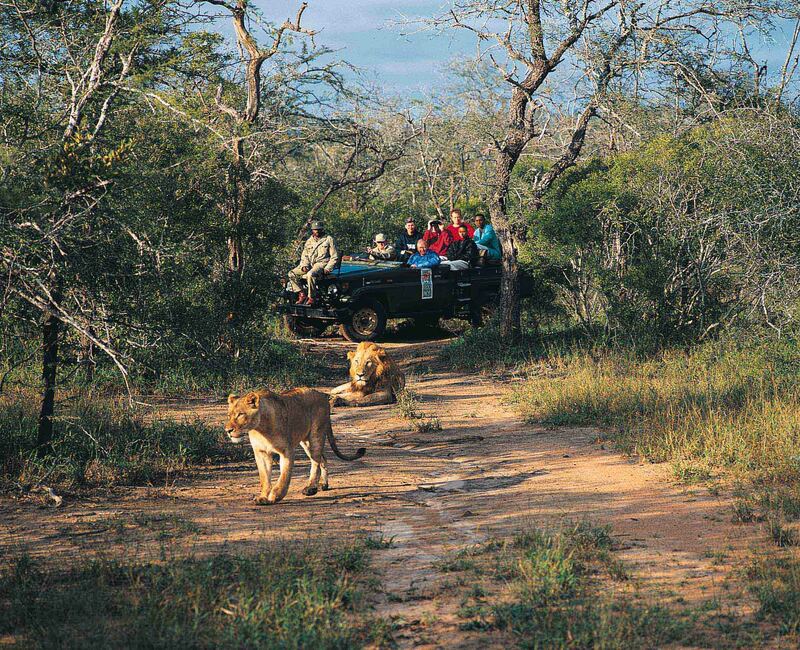 Lovers of wildlife and the great outdoors will instantly feel at home in South Africa. 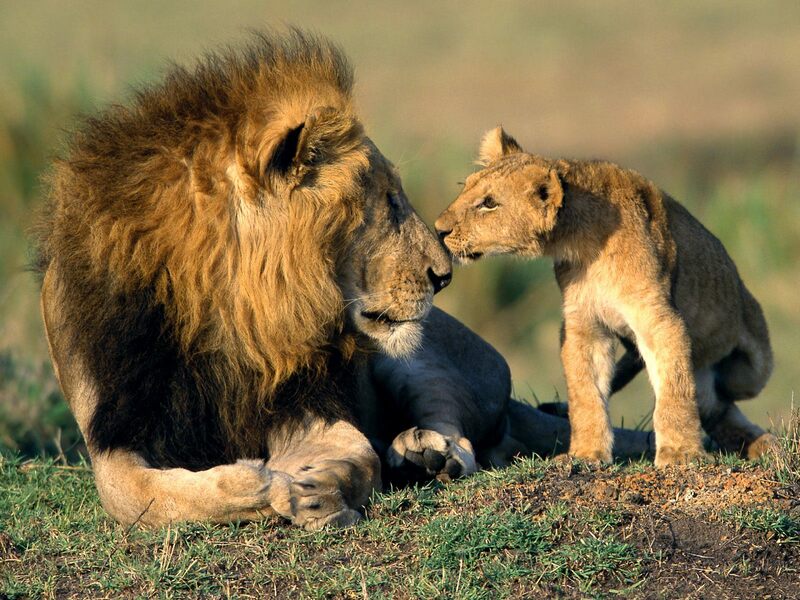 The game parks are some of the best in the world, the scenery spectacular and the people delightful. South African wines are world renowned and food ranges from Indian, Malaysian and Western to more traditional, indigenous flavours. Add to this an extraordinary mix of cultures, a rich, often turbulent history and a fierce sporting rivalry. Travel with a group of like-minded travellers and host, and you have the makings of a true journey of discovery. Make your way to London Heathrow to check in for your British Airways flight to Johannesburg. On arrival, you will be transferred to your hotel in the Sandton area of Jo'burg, to check in for your four night stay in the Protea Hotel Balalaika Sandton. on a bed and breakfast basis. During your stay, get to know your Tour Manager and the rest of your tour party at a welcome drinks function. 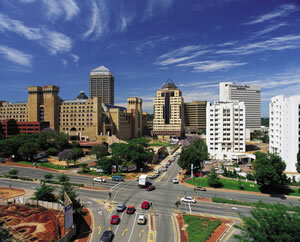 A day at leisure - perhaps relax and unwind at the hotel, or explore vibrant Jo'burg. The first Test! Coach transfers will take you to the stadium and back. Exact timings for the day will be set once the kick off time is confirmed. This morning, the group will transfer to Bakubung Lodge Game Reserve in Pilanesberg National Park. Check in for your three night stay on a full board basis. Pilanesberg National Park is set in an extinct volcanic crater, with grasslands, wooded valleys and multihued rock formations. 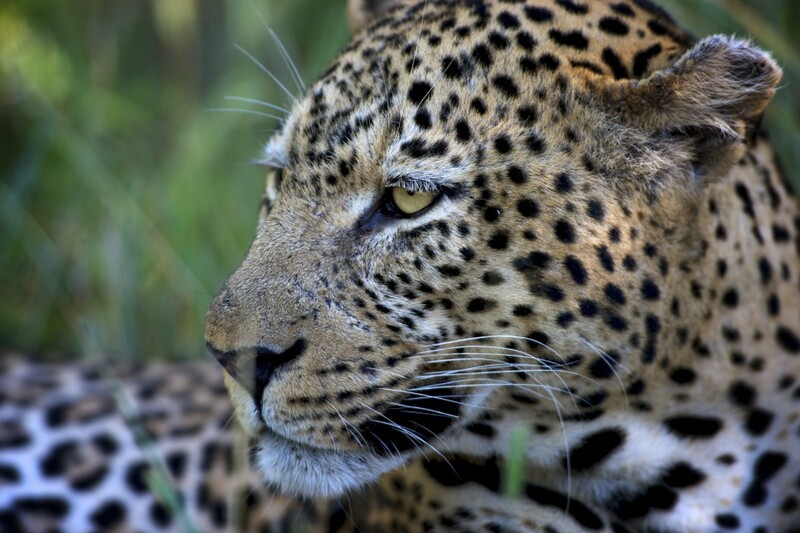 Wildlife includes elephants, lions, leopards and rhinos.Each day of your stay will include a morning and afternoon game drive, giving plenty of opportunity to get up close to the Big Five. 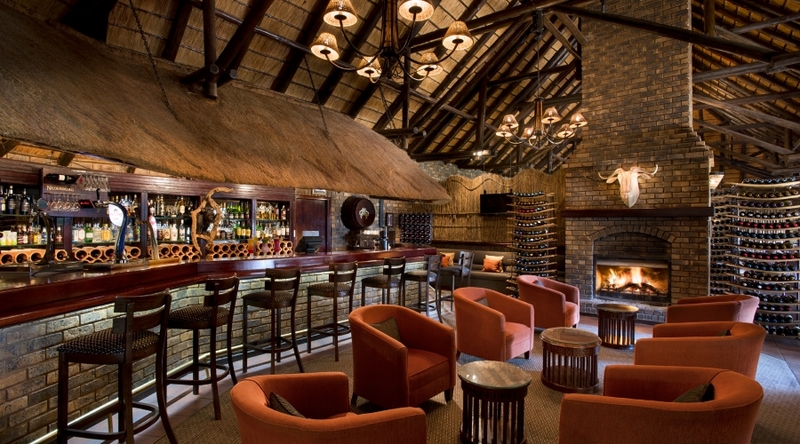 Today the group will depart the lodge and travel back to Johannesburg, where you will stay for your final night before travelling to Bloemfontein.Your return back to the Protea Hotel Balalaika Sandton, Check in for 1 night on a bed and breakfast basis. Check out of your hotel before transferring to the airport for your flight to Bloemfontein. On arrival in Bloemfontein, you will be transferred to your hotel to check in for your two night stay at Bloemfontein, the "city of roses" and a Boer stronghold, is the capital of the Free State and its economic and cultural heart. Check in for 2 nights at the Bon Hotel on a bed and breakfast basis. The second Test! Coach transfers will take you to the stadium and back. Exact timings for the day will be set once the kick off time is confirmed. Check out of your hotel in Bloemfontein before joining the transfer to the airport for your flight to Cape Town. 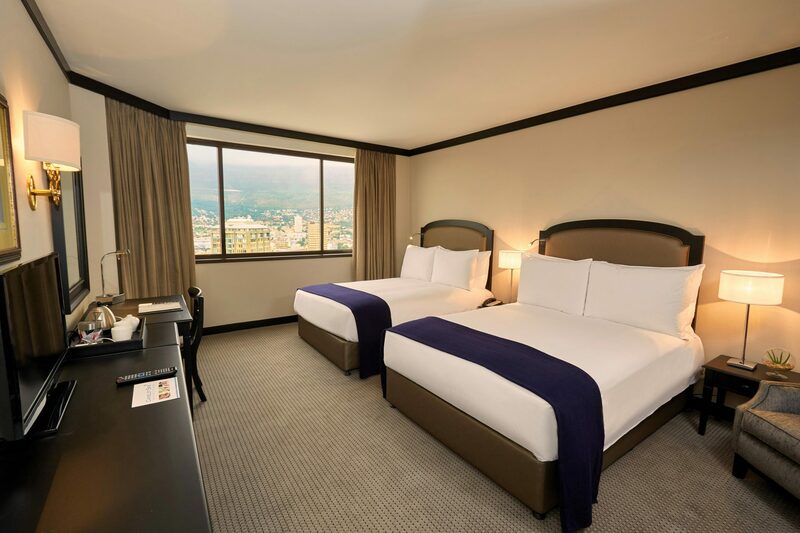 On arrival in Cape Town, transfer to your hotel to check in for your seven night stay at the Southern Sun Cape Sun Hotel for 7 nights on a bed and breakfast basis. 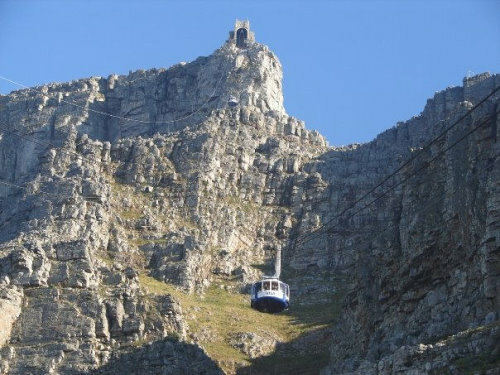 Today the group will embark on a tour of the city, as well as the infamous Table Mountain. 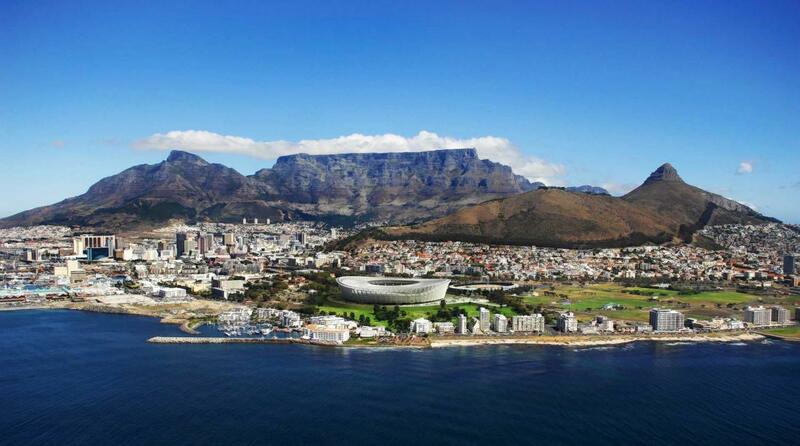 No visit to Cape Town is complete without a half day tour of the mother city itself. After departing the hotel we head for Table Mountain. Tue 19 Jun - Day at leisure in Cape Town. Perhaps spend a relaxing day at the Victoria & Alfred Waterfront. Prince Alfred, second son of Queen Victoria, visited the Cape Colony harbour in 1860. He made a big splash with the colonials on this first-ever visit by a member of the Royal Family. The first basin of the new Navy Yard was named after him and the second after his mother. These days, the area houses over 450 retail outlets, including curio shops and many restaurants.The V&A Waterfront is also still a working harbour and fishing boats bring in fresh fish, and larger container ships are towed in by tugboats. A day can be spent strolling around, picking up souvenirs and indulging in a spot of lunch. Today we head north to Paarl. Our first stop this morning is at Anura Wine Estate for a cellar tour followed by a cheese and wine tasting. Our journey to Cape Point takes us along the scenic Atlantic seaboard coastal road. We pass the pristine beaches of Clifton and Camps Bay with their soft white sand and assure blue water. Fri 22 Jun - A day at leisure. The third and final Test! Coach transfers will take you to the stadium and back. Exact timings for the day will be set once the kick off time is confirmed. After checking out of the hotel, you will be transferred to the airport for your British Airways flight home. Arrive London Heathrow and make your own onward travel arrangements. 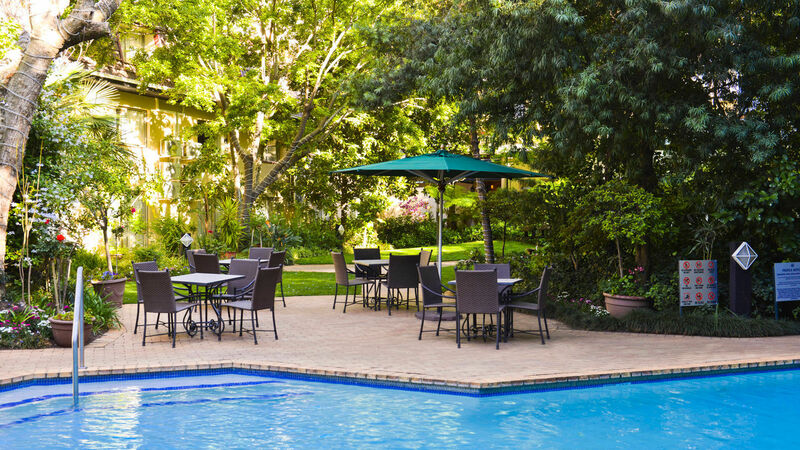 Discover a tranquil oasis in the heart of the bustling business and entertainment hub of Gauteng at the Protea Hotel by Marriott Johannesburg Balalaika Sandton. This hotel boasts its own lush, landscaped garden and sparkling swimming pool where guests can relax, unwind & experience the timelessness and calm of a bygone era. Two restaurants provide exceptional on-site dining, including the popular Bull Run Restaurant for steakhouse favorites. Bakubung Bush Lodge is concealed within the rich expanses of the malaria-free Pilanesberg National Park - set in an area where the Big 5 roam, a mere 2 hour drive from Johannesburg. 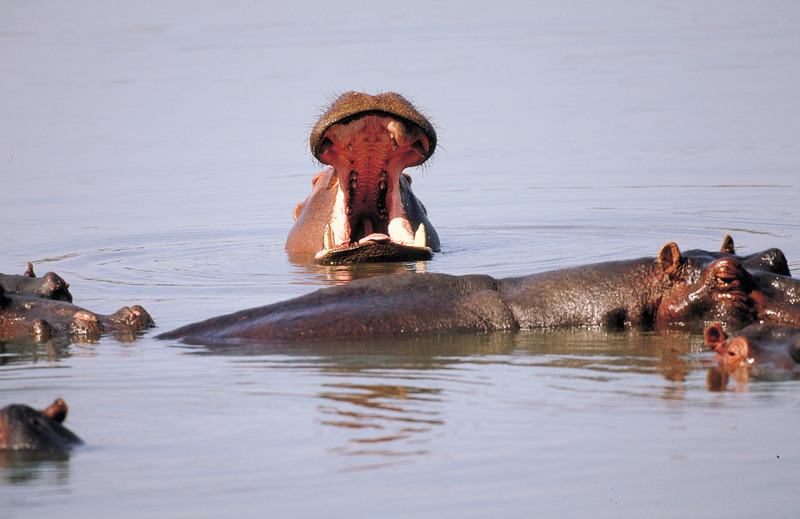 Bakubung, or “People of the Hippo”, offers you everything you need in regards to comfortable and luxury accommodation. With the bush just outside your window you will be able to relax and take in everything about the bush and the animals living around you. 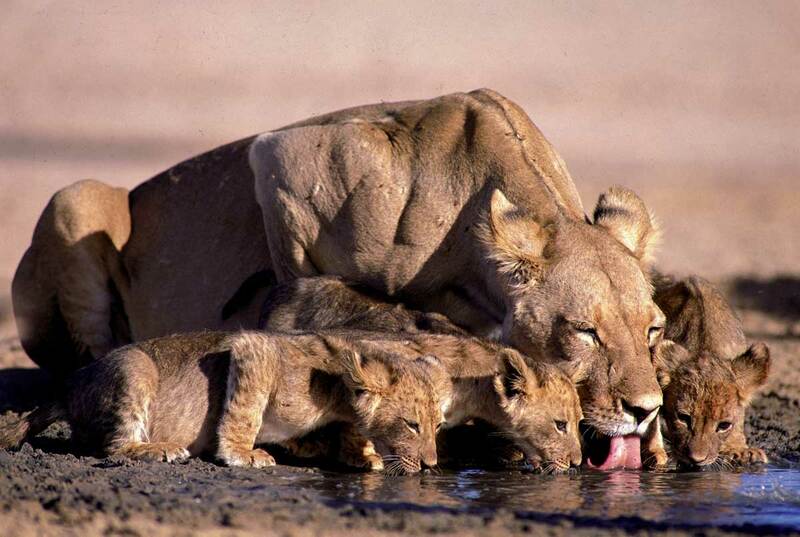 This hotel is inclusive of breakfast and dinner - as well as two game drives per day and lunch! Conveniently located in the Bloem Plaza shopping centre, close to all transport nodes, businesses and tourist attractions, this hotel provides a perfect base for your short stay in Bloemfontein. The hotel holds the Courtroom Restaurant which is open daily for breakfast and dinner and offers a delicious carvery buffet. You can also relax in Judges Bar which serves an array of cocktails in the evening. Located in the heart of Cape Town, this breathtaking hotel sits minutes from The Heart of Cape Town Museum, Robben Island and Clifton Beach. This 15 storey hotel boasts a spa centre, indoor heated swimming pool and outdoor pool - as well as the Stylish Le Bar to have a relaxing drink in the evening. No visit to Cape Town is complete without a half day tour of the mother city itself. After departing the hotel we head for Table Mountain. Enjoy the crisp air and clear visibility as you reach the summit. 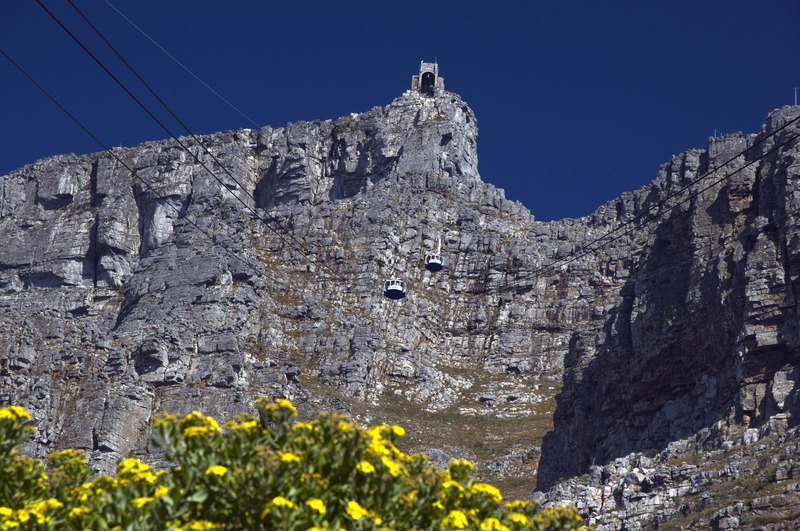 Our guide will point out the highlights of one of the world’s most famous views, and one of New 7 Wonders of Nature.After the descent we enjoy a scenic coastal drive through Camps Bay, Clifton and Sea Point. We drive past the Cape Town Stadium and through the V&A Waterfront to the city centre where we visit Green Market Square. We stretch our legs with a walk through the Company Gardens.The tour continues with a drive past the Houses of Parliament, the City Hall, The Castle and Slave Lodge, before entering the "Bo Kaap", also known as the Malay quarter. Learn about the history of this area of brightly painted houses and quaint cobbled streets. Our journey to Cape Point takes us along the scenic Atlantic seaboard coastal road. We pass the pristine beaches of Clifton and Camps Bay with their soft white sand and assure blue water. The formidable 12 Apostles Peaks rise above the road on one side, while sheer cliffs and incredible rock formations drop into the icy Atlantic Ocean on the other side. There is no doubt the coast of the Cape peninsula offers magnificent scenery with its great biodiversity.We arrive at the quaint fishing village of Hout Bay with its imposing Sentinel. Visit Seal Island or shop for souvenirs at the craft market at the harbor.Our tour continues over Chapman’s Peak which offers amazing photo opportunities, and onto the Cape of Good Hope Nature Reserve. This area is home to magnificent ‘fynbos’, many different species of buck and birds, the Cape Mountain Zebra, and mischievous baboons. These creatures entertain guests enjoying lunch at the restaurant which has splendid views of False Bay. Take the funicular to the lighthouse for an even better vantage point.We visit Boulders Beach to see the African penguins before arriving at the naval base of Simonstown, and then we venture inland to our last stop of the day at Kirstenbosch Botanical Gardens. With the sun setting over the tall peaks of Table Mountain the last rays sparkle on the trees and flowers, and offer a fitting end to a day filled with all the Cape has to offer. We head north to Paarl. Our first stop this morning is at Anura Wine Estate for a cellar tour followed by a cheese and wine tasting. We make our way to Franschhoek with a photo stop at the Groot Drakenstein Prison where Nelson Mandela was released in Feb 1990. The village of Franschhoek nestled amongst the mountains, can easily be mistaken as being in Switzerland. 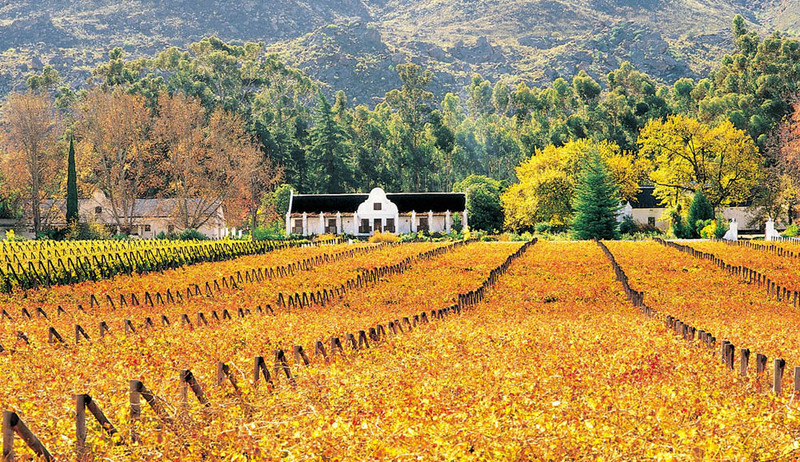 After a short tour of the little town, a second wine tasting will take place in Franschhoek, followed by a lunch stop (optional – own account), and maybe a chance to try some of the fresh trout that Franschhoek is known for.After lunch the tour continues over the Hells Hoogte Mountain Pass to Stellenbosch. It is easy to understand why Simon van der Stel decided to settle a village amongst the mountains. The backdrop of the Hottentots Holland Mountains, the white gabled Cape Dutch homesteads and the oak lined streets and lanes all blend in to give this place a charm that will not be forgotten.We return to Cape Town with amazing photos and fond memories. Please call our sales team on 01737 244398 to check the availability of the tour. To confirm your booking we need to collect a deposit of £1000 per person. When making holiday payments we encourage you to pay online by bank transfer or by debit card or personal cheque. The person signing the booking form will be treated as doing so on behalf of, and with the consent of, all the persons for whom the booking is made and is responsible for ensuring due payment of all monies. Please ensure you return your signed booking form, together with a copy of the photograph page of all passports as soon as you receive our written confirmation of your booking.